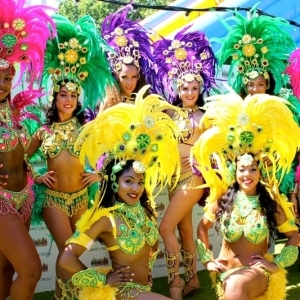 Give your event an injection of Latin spirit with our fabulous Brazilian Samba dancers. Our stunning colourful hand-made costumes have beautiful detailed embellishments and never fail to impress. Guests always love to pose for photos with the dancers during a meet and greet. 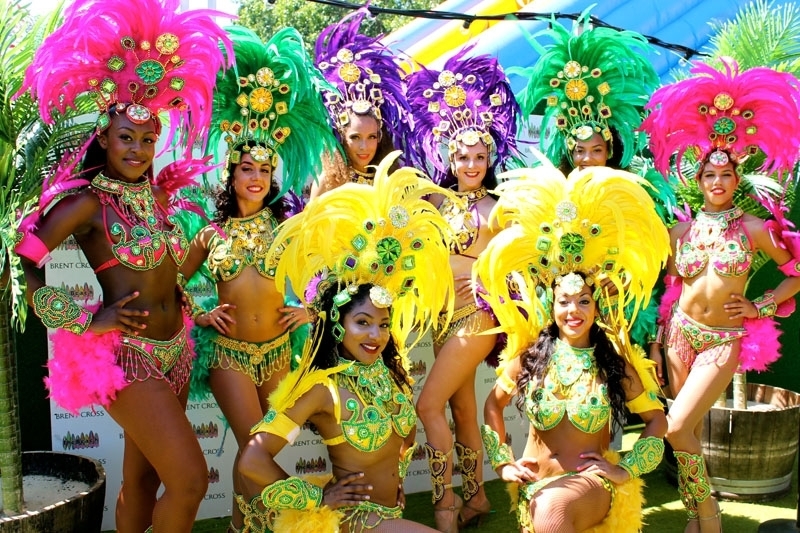 The dancers perform a mixture of choreographed dance routines and freestyle Samba and will also create an exciting carnival style parade. We can even teach your guests some hip-shaking moves and do the Limbo too! 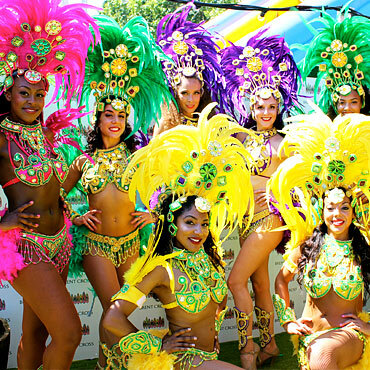 Our fabulous stilt walkers can also meet and greet guests wearing our stunning Samba costumes and eye catching gold wings.